I love the work of all of the Affiliated Fashionists, but Louella Ballerino is something special. 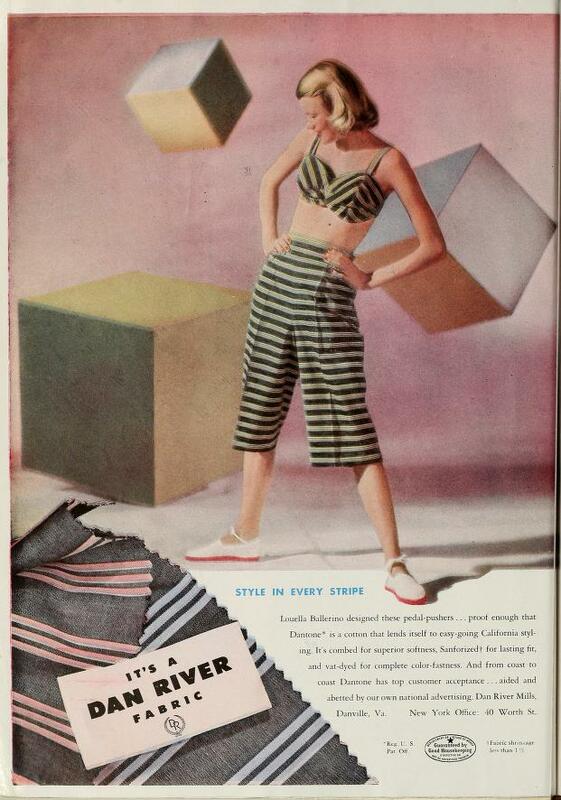 A true pioneer of California sportswear, she combined global influences with California style to create all manner of wearable fashion in innovative ways, and I’m surprised she isn’t better known. Let’s change that, shall we? She was born Louella Smith in Bear Creek, Iowa (a little over an hour away from my family) in 1900, and shortly after the birth of her sister in 1905 the family moved to Los Angeles. 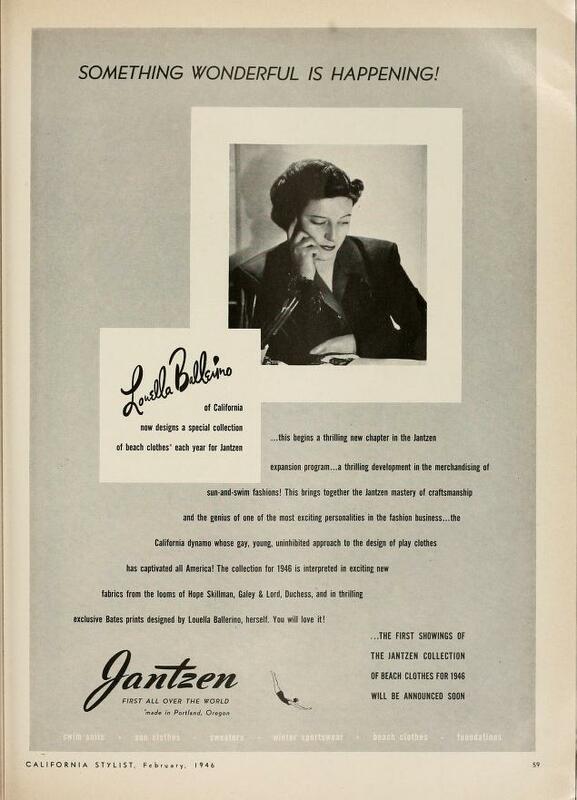 She started at USC in in 1918, and during her four years there she worked as a fashion illustrator and married her first husband Dudley Jenkins and had two children. 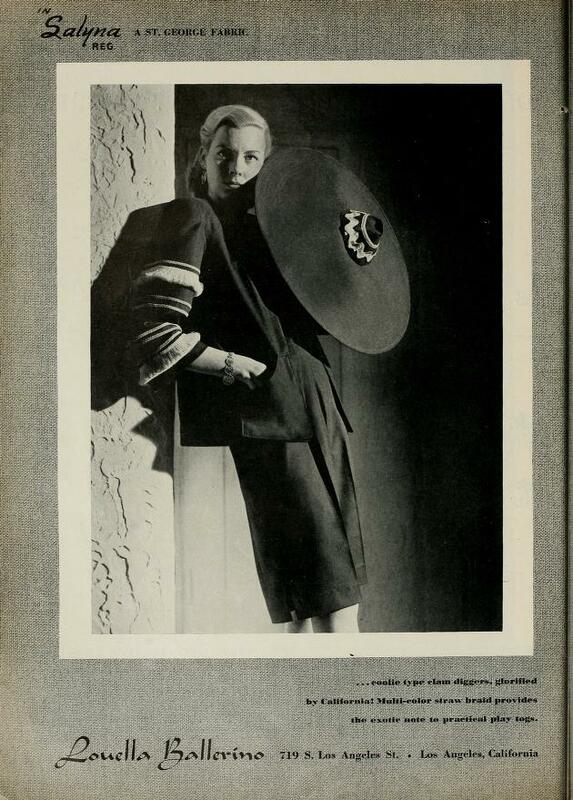 After that she studied sculpture and worked under MGM designer Andre-Ani. In 1927 she started creating original sketches for other manufacturers, and designed for “an exclusive custom shop” for a couple years. 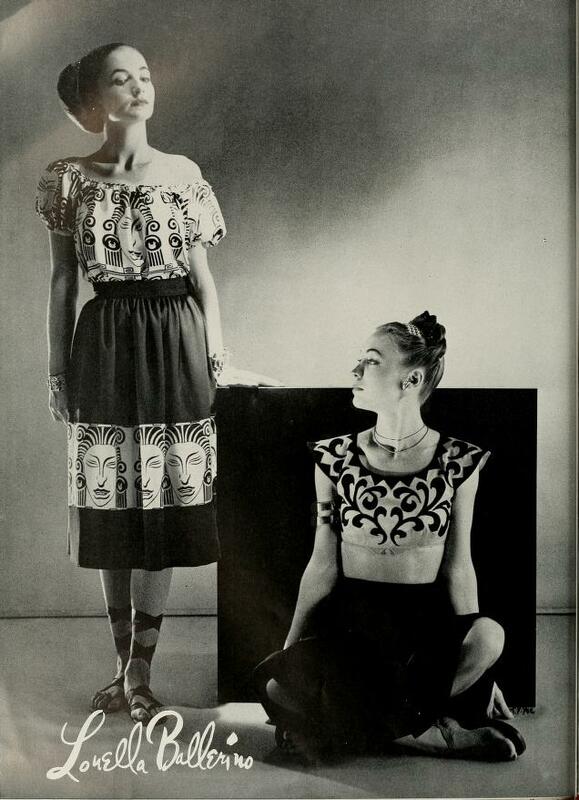 In 1930 she and her first husband split up, she kept the house and the kids and was working full time as a designer, studying pattern drafting at night at Frank Wiggins Trade School so she could eventually make her own clothing. By 1934 she was teaching at the school, and by 1938 she had married her second husband, Melvin Ballerino, an executive at Paramount. She opened her custom business, while still designing for other manufacturers on the side. 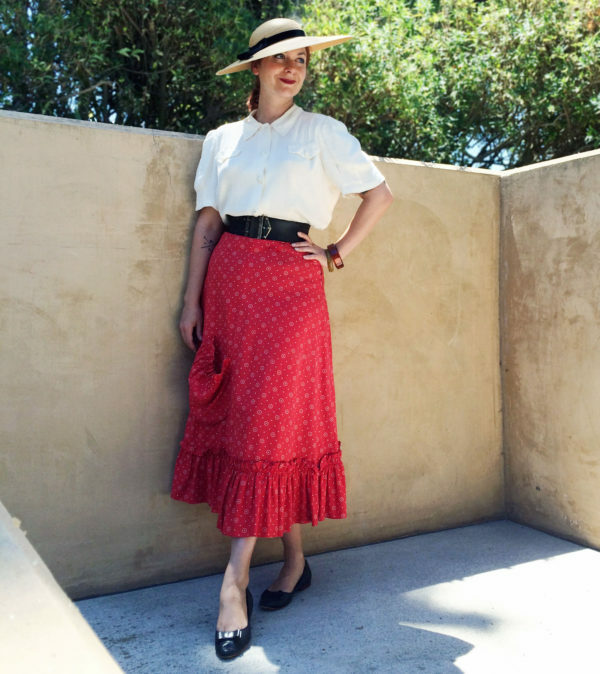 Eventually her own business took over, and by 1939 she had gained national acclaim for popularizing the dirndl skirt and creating “authentic California designs” for beach and otherwise. Her early work like this is very much influenced by traditional Eastern European or South American dress, featuring cottons with embroidered trim or floral detailing. 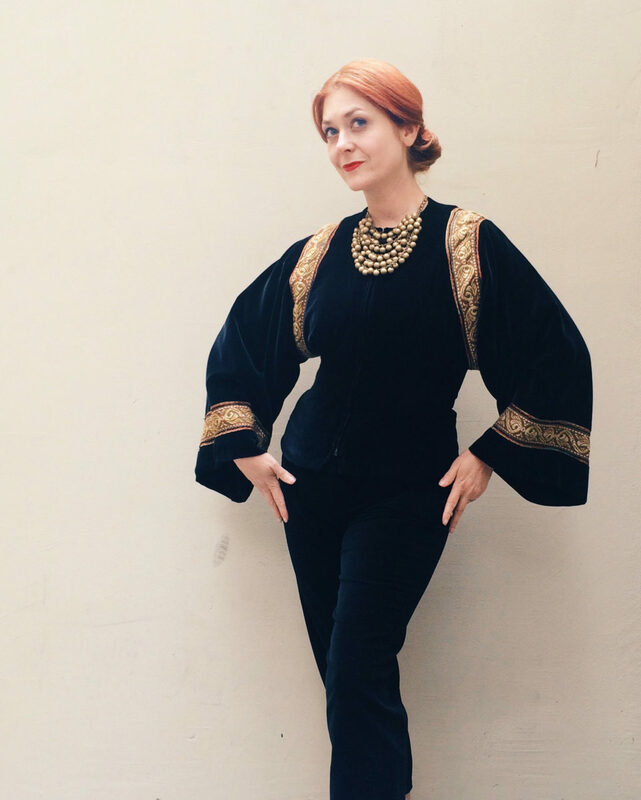 This velveteen zip-front jacket with embroidered trim is likely from the early 1940s. Whether Eastern European “peasant’ or South American “native” influences, Ballerino was an early advocate. 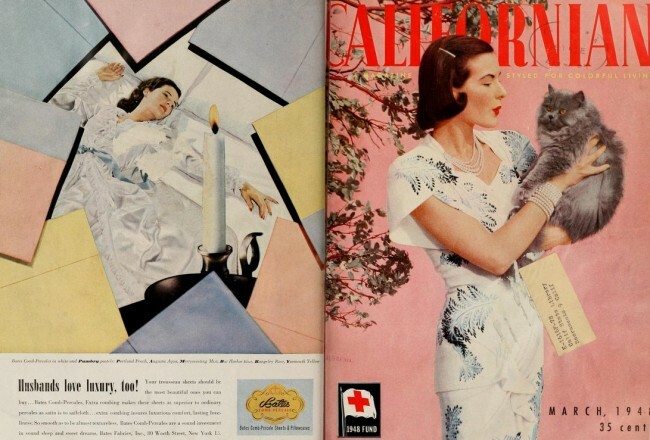 Her designs throughout the mid-40s were innovative and beautiful. 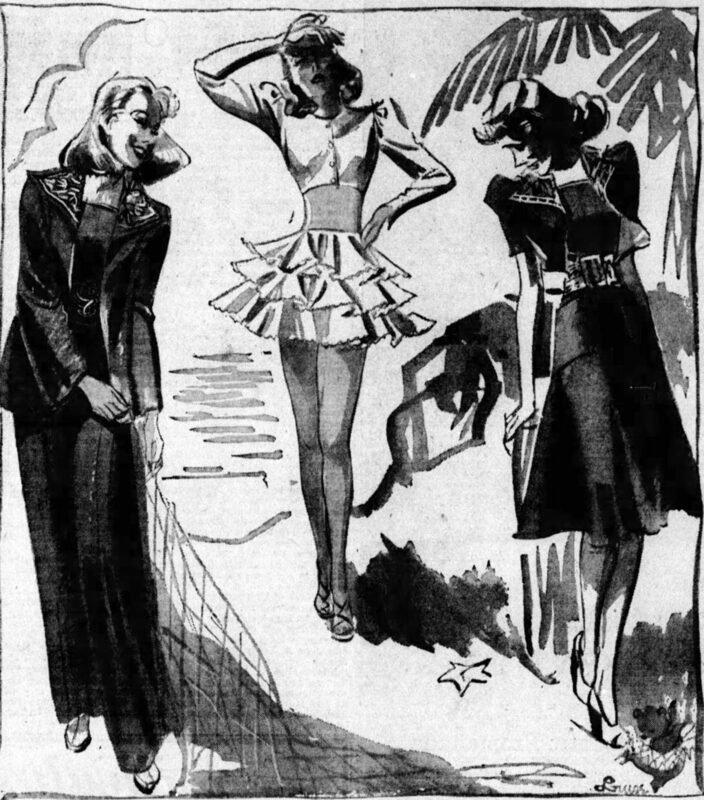 In 1946, Ballerino began a collaboration with Jantzen to produce beachwear. I’ve seen one of these come up for sale in the last few years and would have pounced on it if it had been my size. 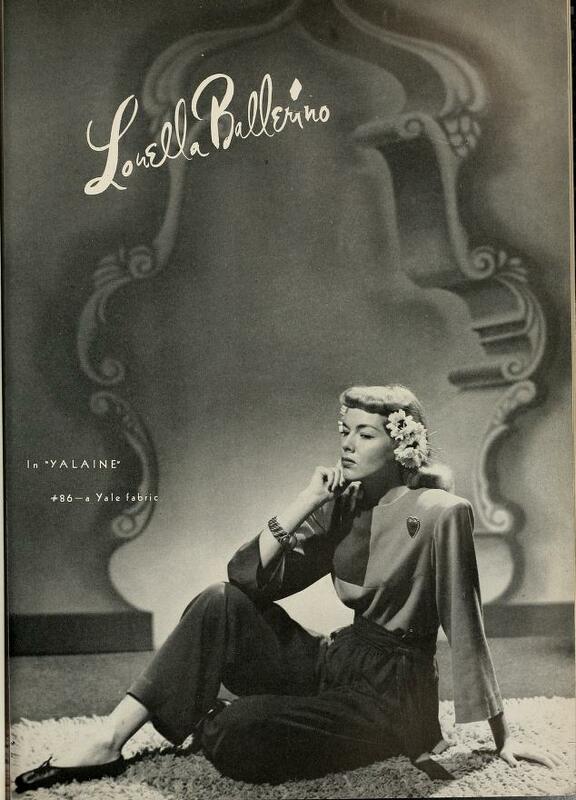 In the late 1940s, she continued to produce her special blend of American sportswear with global influences (though she herself hadn’t yet traveled to see the places her garments referenced). 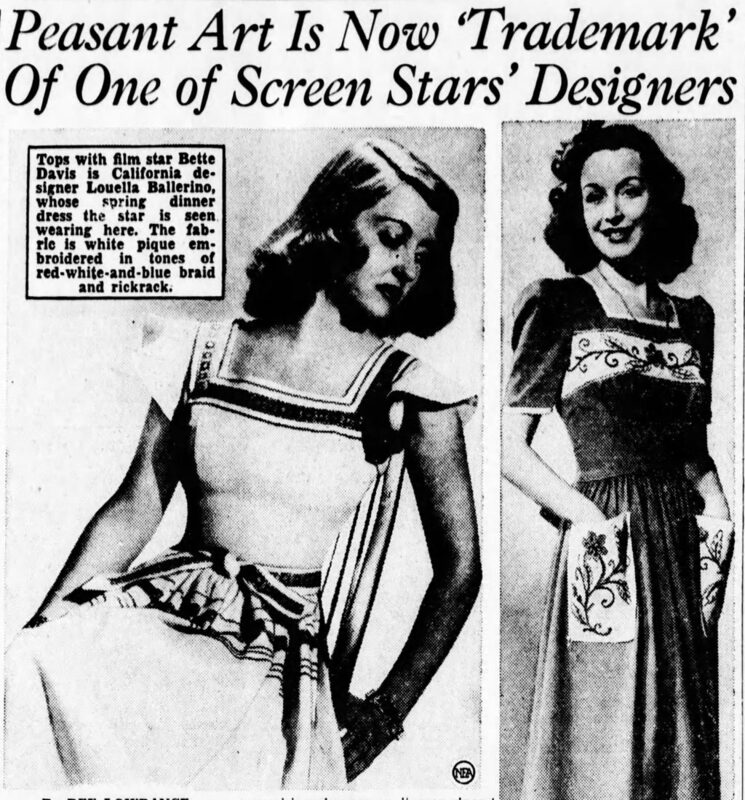 In 1948, however, her collection referenced early American designs from the mid-1800s. – Frances DeWolf, Arizona Republic, March 1948. 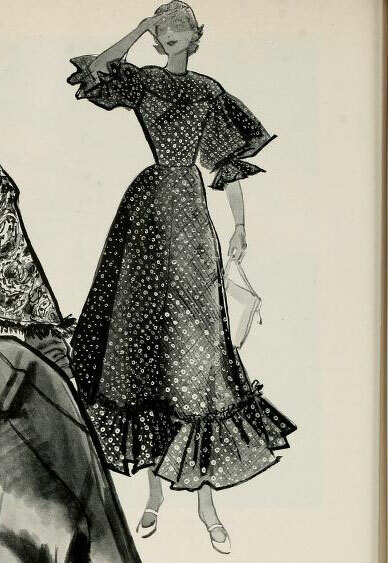 It appears that this dress came in a few different styles, as well as a separate skirt, that would have originally been worn with a white ruffle-sleeved blouse. 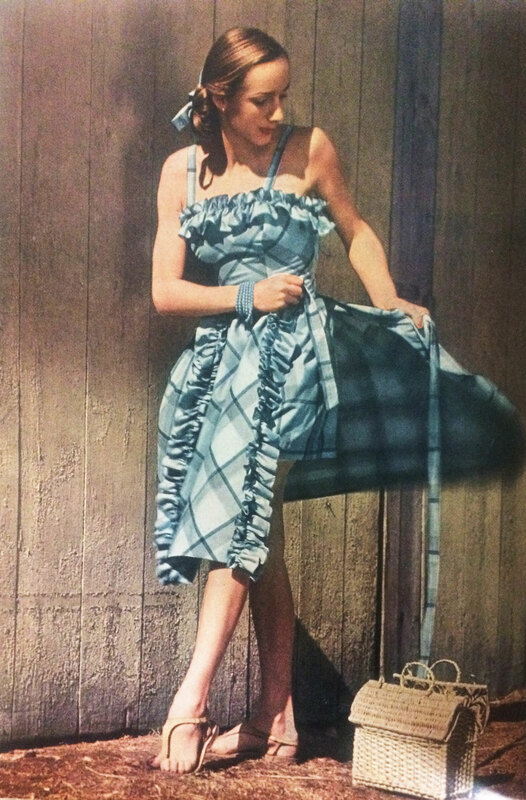 In the following years she continued to design sportswear and resortwear with global influence and California styling, and continued to be popular particularly in California. Though she was heavily influenced by the traditional dress of other cultures around the world, she gained most of her knowledge through books until she began traveling extensively in the early 1950s after closing her business in 1951. 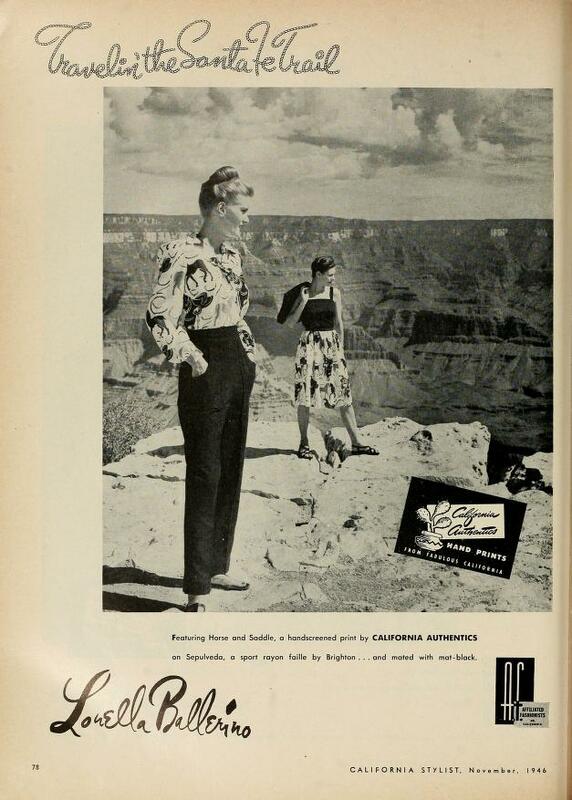 In the late 1950s she went to work at Jantzen as chief designer, then in 1958 began working with sportswear maker Phillip C. Phillips to create casual separates. 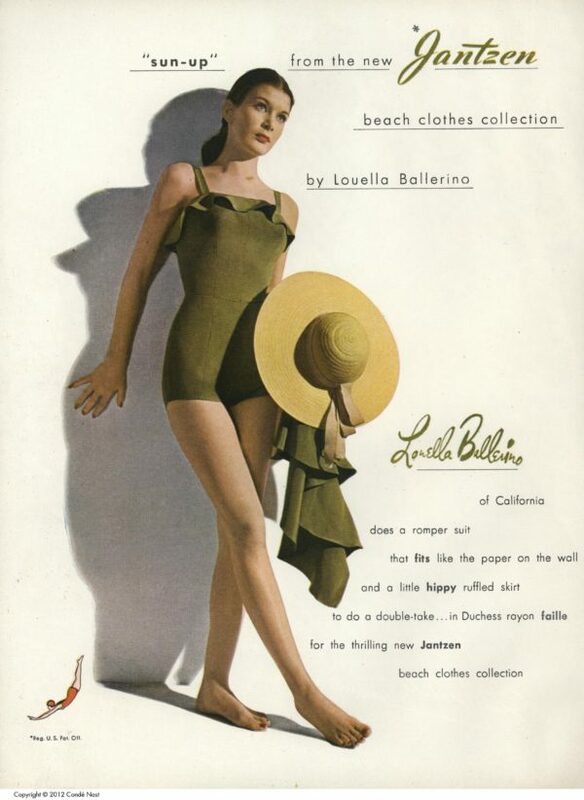 Louella passed away in Laguna Beach in 1978, leaving behind a legacy of California sportswear with a timeless touch. 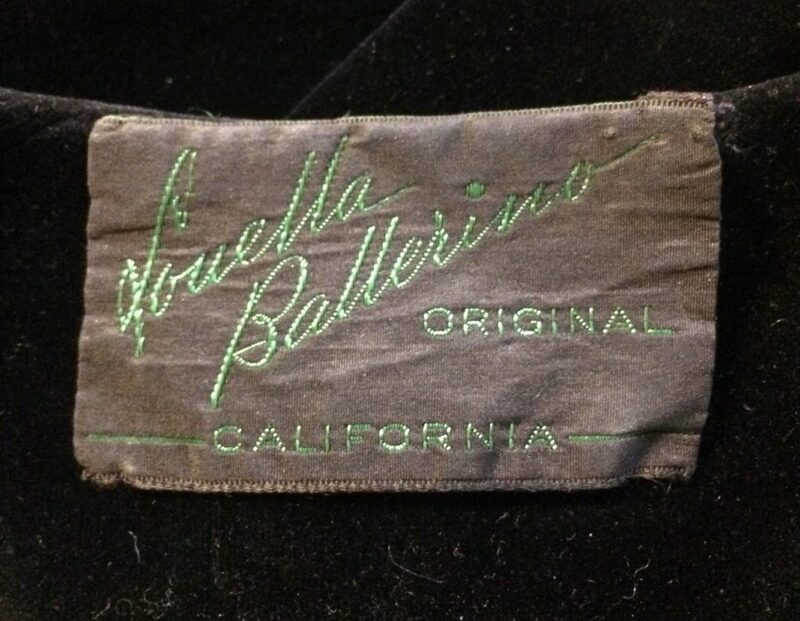 I have a Louella Ballerino for Jantzen three piece that is just amazing. The bottoms don’t quite fit me right but with the matching wrap skirt over it I don’t care, it’s perfect for summer evenings. It’s nice to learn about this designer after loving this set for so long.